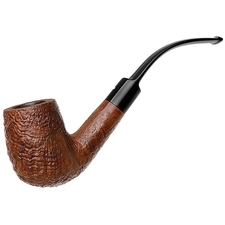 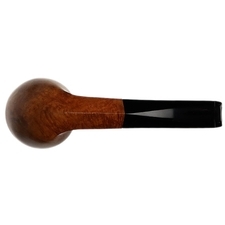 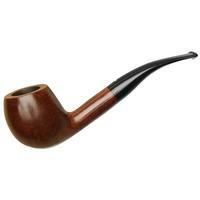 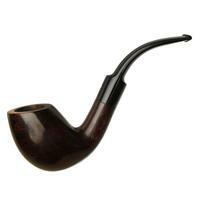 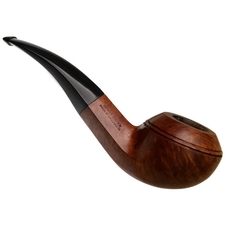 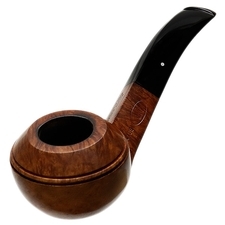 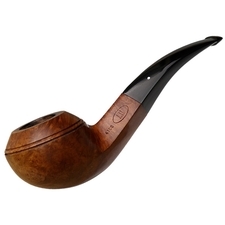 Dunhill's "08" shape can present itself as either a stout-bodied Author, or the robust, crisp-lined bent Bulldog you see here. 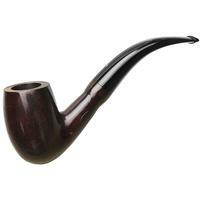 I'm fond of both, but here in the Root Briar finish, the juxtaposition of succinct edges and smooth curve make for a splendid means of showcasing some lively grain. 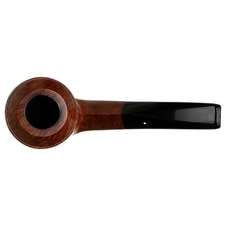 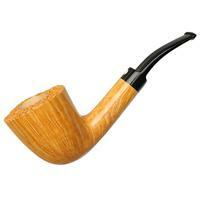 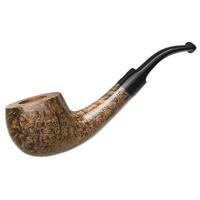 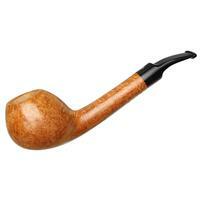 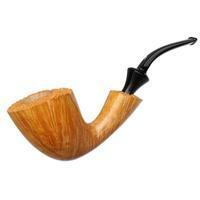 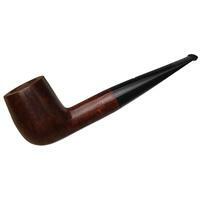 Condition is fair, though the chamber is slightly out of round near the rim, and the stem corners were over-buffed.